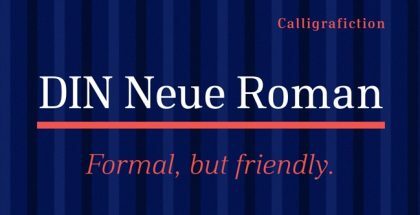 Urby typeface is the latest project of the famous German designer Jakob Runge – one of the founders, together with Nils Thomsen, of the well-established TypeMates type foundry. 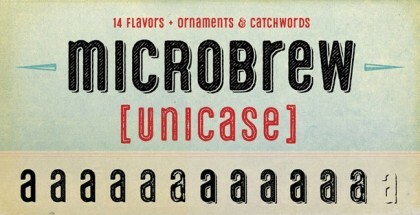 Urby is a part of his Urby collection that also includes Urby Soft font family. These two typefaces complement each other perfectly as Urby is distinctive with its sharp edged nature as opposed to the Urby Soft, which has rounded corner characters. Although each of the two font families has its own one-of-a-kind look, they are designed in order to work perfectly together. In this great collection, Urby’s unique character is underscored by several features such as extremely wide apertures, like in a, e or s, and organic stroke endings (v, x) that bring playfulness to Urby’s geometric construction and reduced shapes (t, f, 4), as well as quirky details. Its rich character set supports most Latin languages and provides helpful dingbats and geometric shapes. Urby typeface comes in 5 constructed, dynamic and duplexed fonts that can be used interchangeably to a great result. It also has another great advantage – it is packed with useful extras. Let’s just name a few of them. 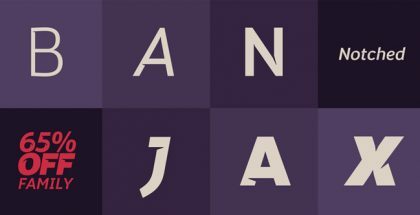 Case-sensitive forms for styling uppercase text as a block. Amongst others, autocorrects for improper colon, or multiply symbol between numerals and easy-built arrows. Beside Denominators, Numerators, Sup- and Subscript for the figures, the Numerators support currency signs as well. 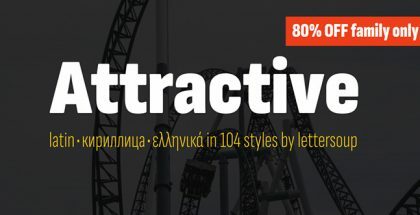 All OpenType Features included: Access All Alternates, Case Sensitive, Contextual Alternates, Denominator, Fractions, Kerning, Ligatures, Lining Figures, Localized Forms, Numerators, Ordinals, Proportional Figures, Stylistic Alternates, Scientific Inferiors, Stylistic Sets 1 till 2, Slashed Zero, Subscript, Superscript, Tabular Figures. 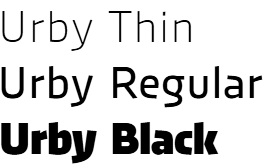 All in all, Urby is another great typeface by Jacob Runge. 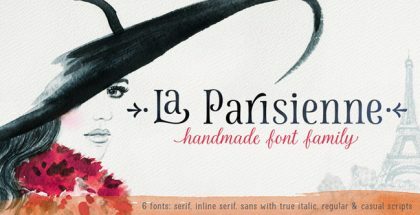 You might also want to take a look at his latest font Cera Brush, as well as his bestseller Cera Pro. Get Urby typeface and fell in love with its rough beauty!